Wegscheider-Cruse, Sharon. 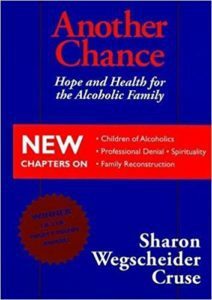 Another Chance: Hope and Health for the Alcoholic Family. Science and Behavior Books, 1987. A seminal book about the four family roles: Hero, Mascot, Rebel and Lost Child.